1. Cell phones use ____________ to access the Internet. 2. Which of the following is not valid version of MS Office? 3. __________are 'attempts by individuals to obtain confidential information from you by falsifying their identity. 4. Which of the following is not a term pertaining to the Internet? 5. What does the computer abbreviation KB usually means? 7. 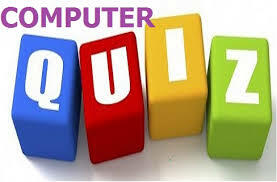 The overall design, construction, organization and interconnecting of the various components of a computer system is referred as _____________. 10. What is the standard query language supported by most DBMSs?